Juan Miguel Rizo Rodriguez (Principal Translator) was the reason we came to El Roblar’s remote and beautiful community. In the fall of 2009 Kristina made contact with Juan who invited her to teach in January, 2010. He explained its remoteness and lack of English speaking people. Kristina was up for the challenge if he could help interpret when possible. Juan assisted when he could; with his busy job at UCA-San Ramon, as the eco-tourism director. Juan also assisted in the fall of 2010 for a site investigation, at a rural coffee farm in Guatemala. He lead the board meeting with the directors and helped Kristina address the community afterwards. Juan is now working with Catholic Relief Services in Nicaragua and hopes to continue volunteering with Kids Share Workshops in other Latin America countries. Massiel & Adelina Herrera volunteered several mornings a week. Even though they could not speak English, nor could we understand Spanish, we all pulled it together and taught a really fun program. We also enjoyed living on their family coffee farm and learning about how coffee is grown, harvested and freshly brewed every morning. Both young woman made us laugh a lot and treated us like sisters. Today Massiel is teaching young children at a local school. She and one of her brothers have been able to attended university. Her sister Adelina is now teaching reading and writing, at their farm to adults in the community who are illiterate. 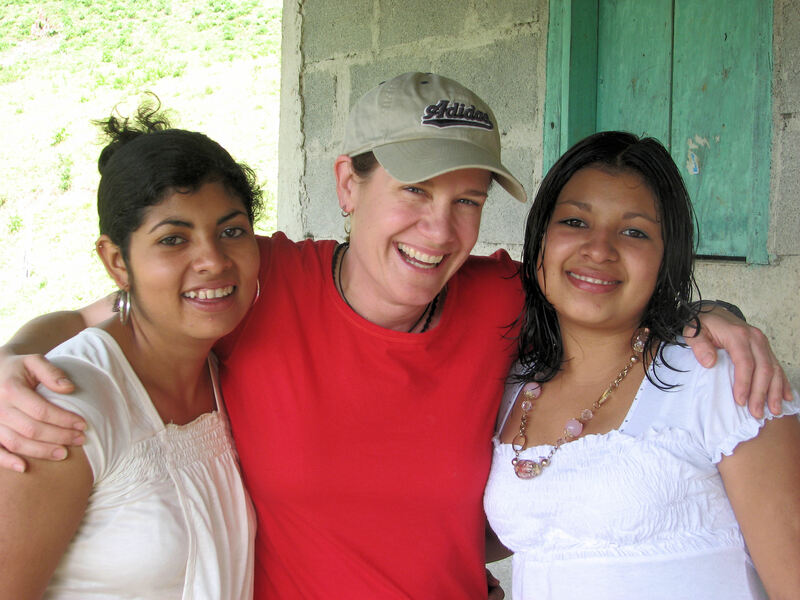 Jeanne Ross Atchinson, (Volunteer Program Director) for the Nicaragua and Guatemala workshops invested many hours teaching in both communities. Many long walks each day to the cultural house where Kids Share was taught, brought her new friends alone the way. One very special encounter was with a perezoso (lazy tree sloth) which she was able to capture and share with her camera. Jeanne is an avid photographer who enjoyed taking many wildlife photographs, including the Oropendola, which is a native bird in Nicaragua. The Herrera family enjoyed her, especially Adelina who learned her art of weaving necklaces and bracelets. She also contributed her editing and photography for the 2010-Kids Share: Nicaragua & Vermont children’s book. Currently, Jeanne is the after school teacher at the River Rock School in Montpelier. Kristina Applegate (Program Director & Founder) is the Cross Cultural Youth Travel Blog Reporter and Program Director with Kids Share Workshops (KSW). She is also a professional freelance artist who co-creates with youth in all of her paintings. Kristina is working to develop workshops through her travel reporting in the Americas and hopefully someday worldwide. 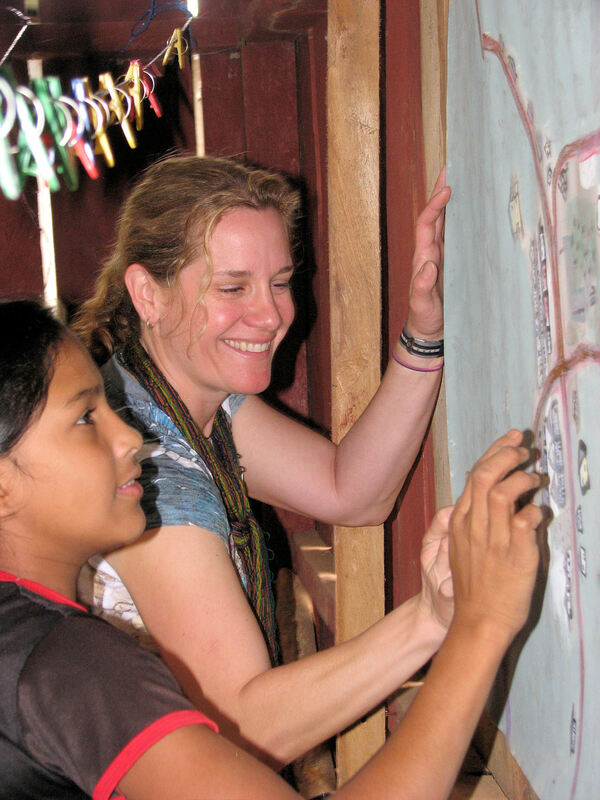 She was up for the challenge to take on the very first Kids Share Workshops in Central America! This workshop was so special to Kristina because it was the first one she could teach aboard. There was no organization backing her efforts only a few dedicated volunteers and a lot of ambition. When entering into this remote community Kristina never imagined how much it would shape Kids Share Workshops and change her life. The beauty and lives of the Latin culture inspired her and altered her perception of what the Americas is all about. Strong connections were made and a desire to learn the language became her mission! Kristina is hoping to return to the beautiful community and Herrera family who she is forever connected to, with the support of Partners of the Americas. Partners of the Americas is now the volunteer organization supporting her efforts in Latin America. 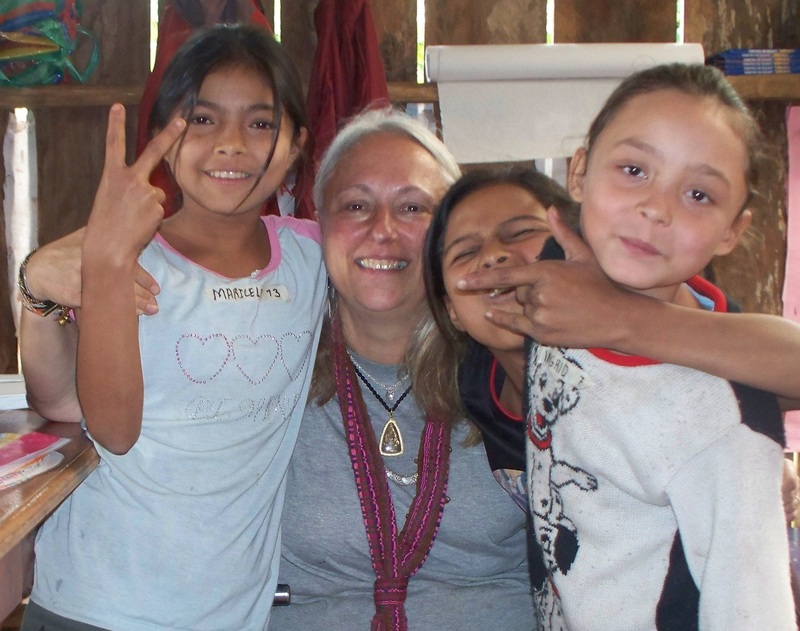 Please follow Kristina’s other Kids Share blogs, as she continues to reach other counties in Latin America with the support of Partner volunteers!